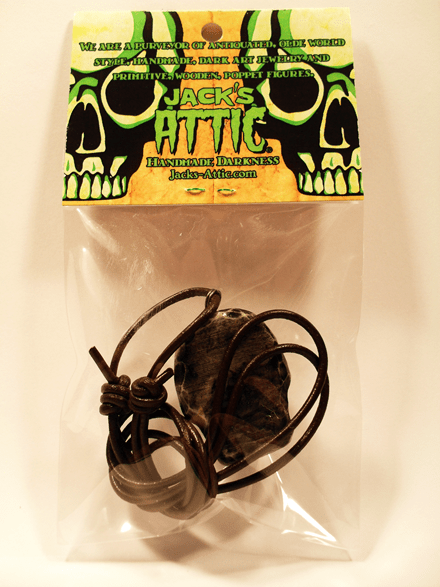 We here at Jack’s Attic are always trying to improve on the appearance and presentation of our handmade, dark art creations. One such cosmetic factor that aids in distinguishing our “brand” is our packaging. We just picked up these new header cards from the printers and are extremely pleased with the results. What do you think? 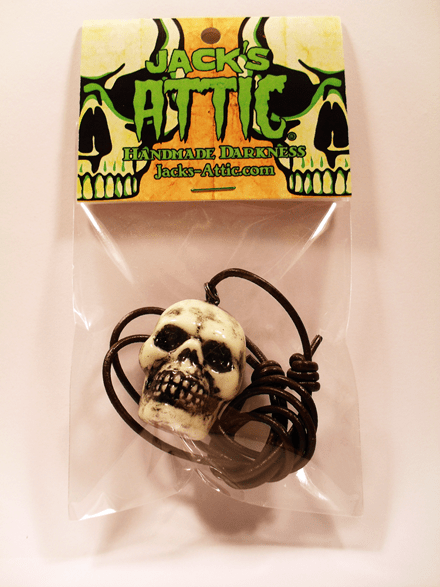 All of our handmade, dark art pendants come shipped in the above packaging with attached header card. Be sure to stop by our Art Fire Studio and our Etsy Shoppe to puruse our entire collection. Next postFREE SHIPPING through December 31, 2009!